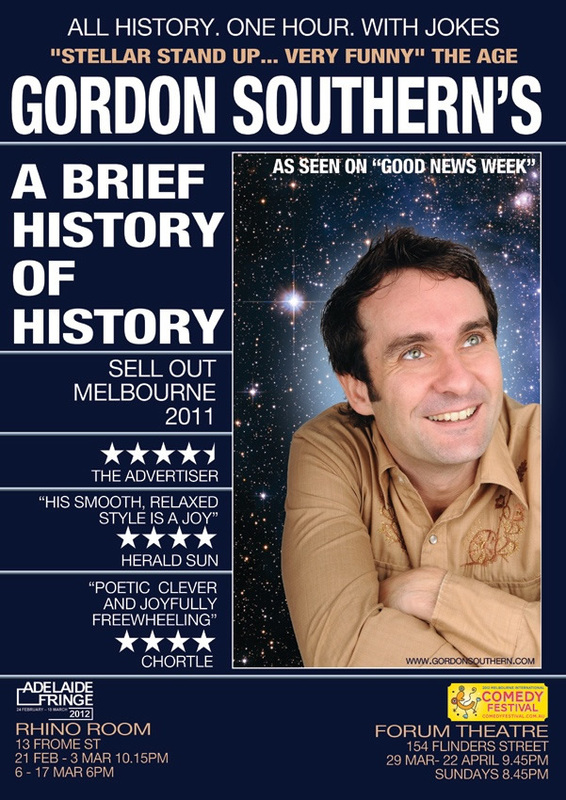 Gordon’s 2012 show, A Brief History of History, launched at the Rhino Rooms in Adelaide, Australia on the 24th February! & SOLD OUT THE OPENING WEEK!! !